In light of this past weekend's events, it is profound to me to be taking inventory this week. My heart breaks for Japan and the horrific images we continue to experience. We here continue to talk and pray for the many, many lives effected in these disasters. The reason for inventory you ask? It's my birthday week. Yep. That's right. I am facing it head on. No fear. Only planning and scheming and enjoying. Finding joy in the journey. Thankful and rejoicing for the abundance I am so lucky to have in family, relationships, and just plain stuff. The March Project kit from Work In Progress became a tool in the process of this current inventory that came to me as a serendipity. This exercise in registering 'ordinary' life within my home has had a profound effect on me. Although some of the journal prompts had to do with the 'stuff' within the walls of our home, it became a ritual of thankfulness for what makes us, well, us. And in fact, it's not the 'stuff' that makes us 'us', but indeed, it is us. 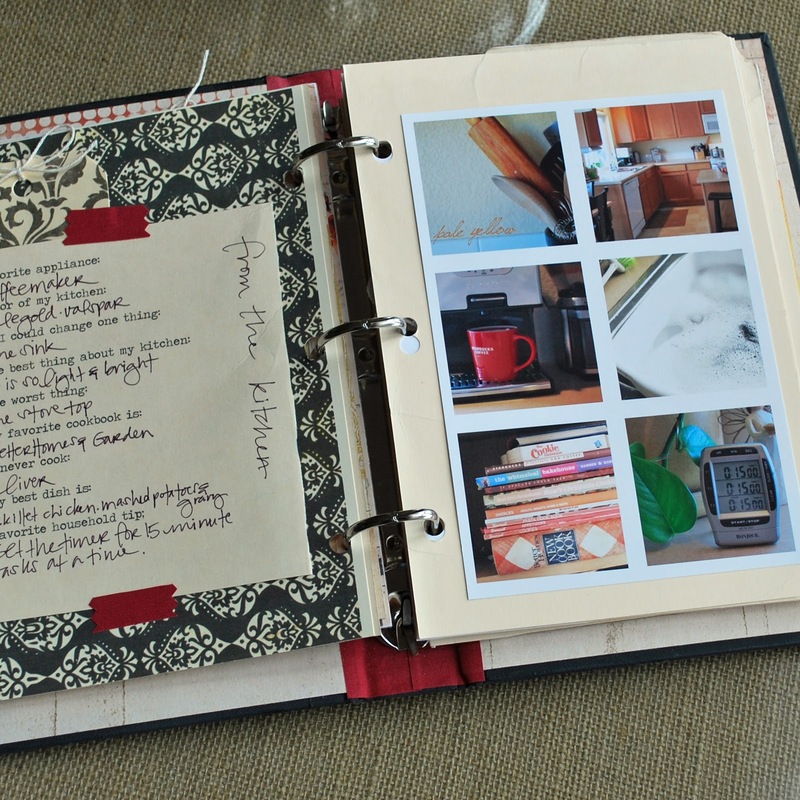 Trish included a pdf of journaling and lists to include in this book. I took them and made tags of each of the lists, and each of the items became my own personal photo prompt to tell the story of our life in our current home. At first it was sort of silly to take pictures of a bread machine, or a mixer, but then it dawned on me that those daily items are not only daily, but they tell their own story. They tell the story of how my blossoming 11 year old daughter is becoming the queen of the kitchen aid in her pursuit of become a baker. They tell the story of how my family is so happy to smell fresh baked bread baking in the oven and how that simple food brings us together again in the kitchen. They tell the story of my husbands daily routine of getting the coffee maker ready for me every morning, with my thyroid medicine and protein bar. These prompts told many stories, that to other people may mean nothing, but to us, mean everything. The kit included a hard back book, with the inner pages still intact. 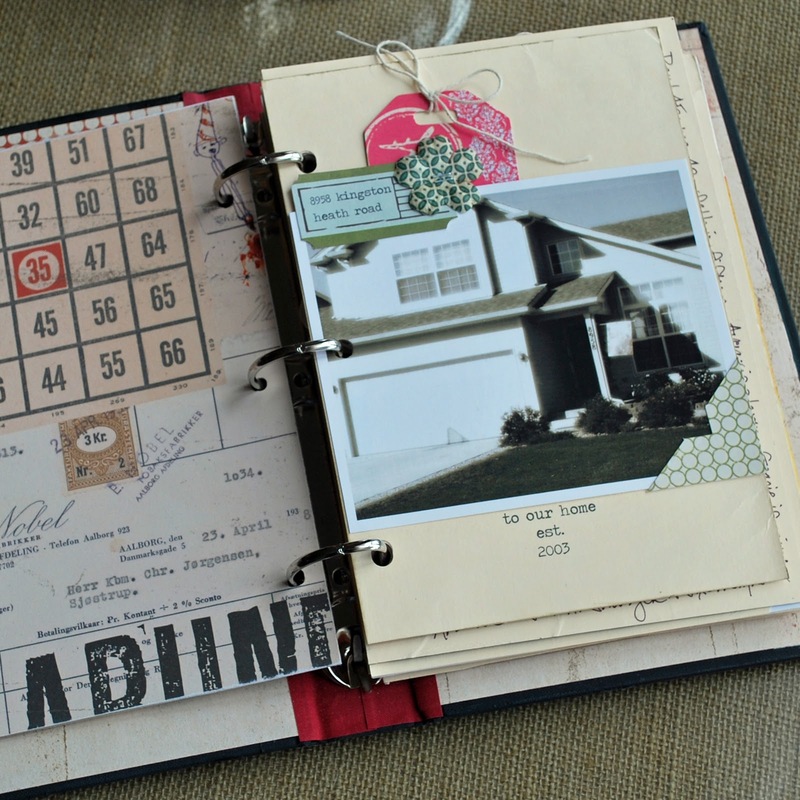 Trish included a binding mechanism to attach inside the book, once the pages were removed. 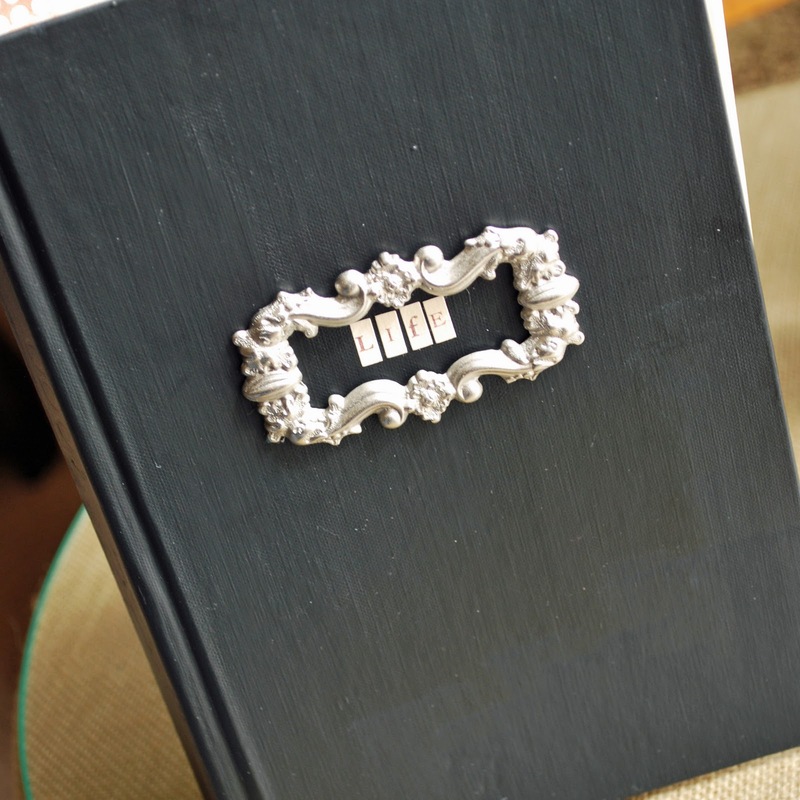 I love this altered use of a book. It is becoming one of my favorites. The book I received was green, and I quickly changed that to black. Added one of the Teresa Collins frames to the front, and used Making Memories tiny type to have the title 'life'. The kit included several 6x6 sheets of 7gypsie Lille collection. Since I had several pieces of that collection in 12x12, it became the exclusive paper to the book, and helped keep a cohesive feel for me. 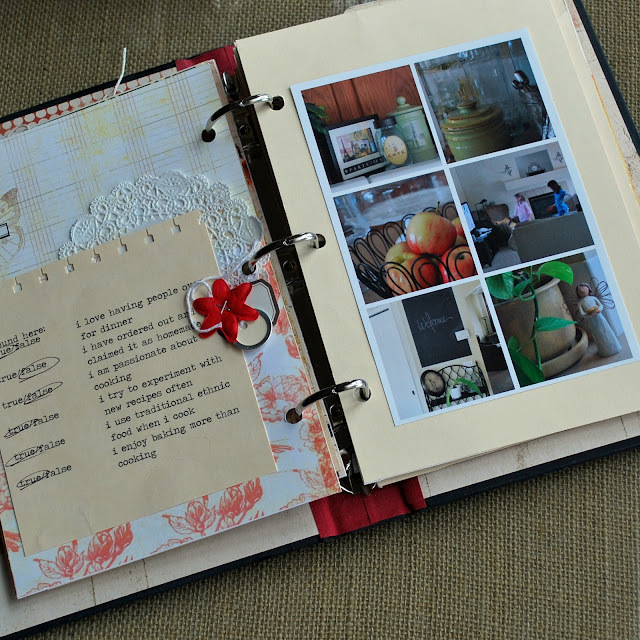 The format of the book follows a pattern of patterned paper on the left side that included embellishment and journaling from the pdf prompts, and the right side held at least 6 2x2 photos in a grid. 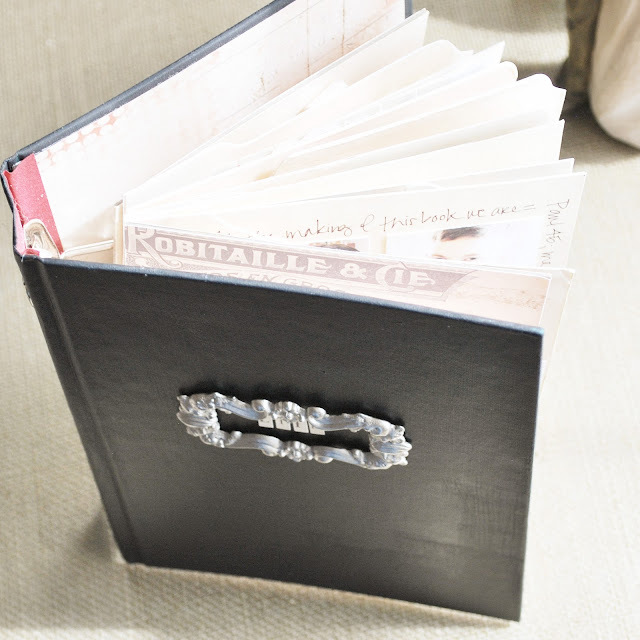 This book holds at least 56 photos! Sounds excessive, but when they are 2x2 they fit very well and do not feel overwhelming. 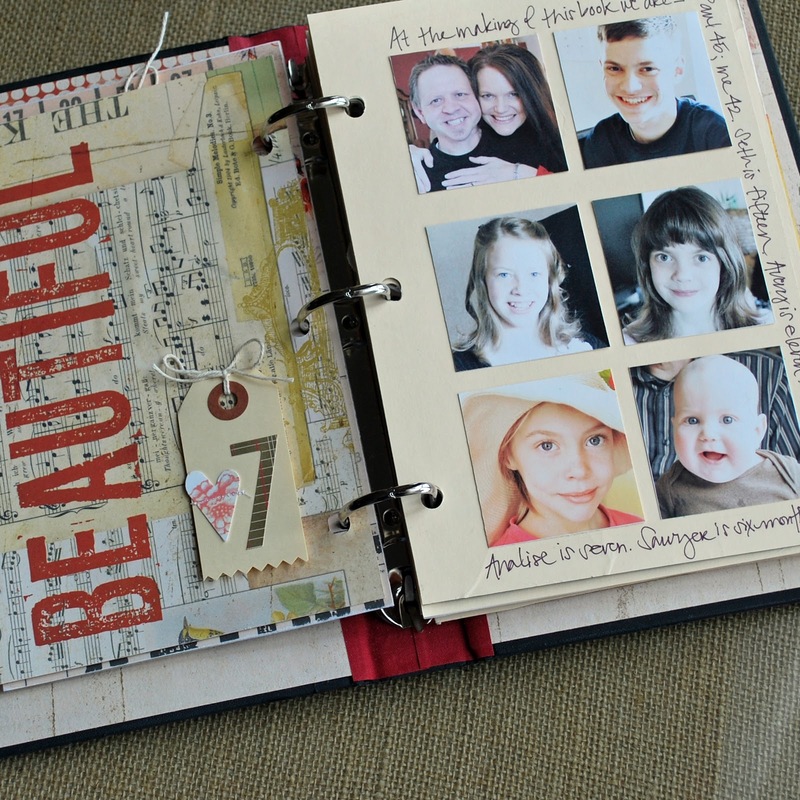 The photos are backed by upcycled manila folder cardstock. 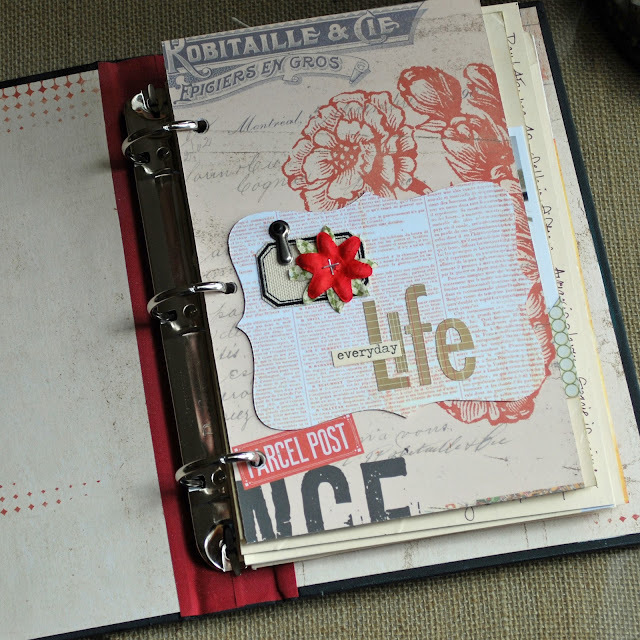 Like you, I have a stash of old, used folders, and I thought the shade of the manila worked great with the fabulous collage work of the Lille paper. Sometimes I kept the tab cut included in the shape of that page, sometimes I even kept the little wrinkles and smudges that came with the recycled cardstock. I just enjoyed how it came together. I will post the rest of the book tomorrow. I hope this inspires inventory in your life. While Trish's project kit has been long sold out, you can make one on your own of your own style. You are such an inspiration Jamie dear! I LOVE your book, its concept, its vintage look!! I must try something like that soon and so funny I was working with the same collection of papers this week-end! You are the much better version of Ali Edwards!!! Oh Jamie I just love this! I want to duplicate it page for page! You are my Ali too! "While Trish's project kit has been long sold out"... this just made my smile go upside down!!!! :( When can I sign up for the class for this?!! Greetings from a newbie to your blog. I just found you through the 2peas gallery. I was wondering if you could share how you get those 2x2 photos in that 4x6 grid? Is it a template? I dabbled a little bit into Photoshop Elements a few months ago and know how I can add photos behind some larger grids that I found online. I'd love to find a smaller grid like this one! where did you have them printed and what did you resize to ahead of time?! LOVE LOVE LOVE!